SimbaPay – a leading digital money transfer provider – today announced the expansion of its free instant deposit service to Choice Microfinance Bank in Kenya. SimbaPay has partnered with Choice Microfinance Bank a microfinance institution founded by Kenyans abroad. Money transfers made to Choice Microfinance Bank by Kenyans living abroad using SimbaPay will be free of transfer fees. In addition, the recipient Choice Microfinance Bank accounts will be credited instantly. Victor Karanja, Head of Operations for SimbaPay commented that “Our customers who already bank with Choice Microfinance Bank or have friends & family using the bank will be glad to see their transfers being credited instantly”. Stanley Kasyoka, Deputy CEO at Choice Microfinance Bank added that “We are very excited about this new partnership with SimbaPay which is heavily engaged with the economic force that is Kenyans living abroad. Kenyans abroad are the country’s largest earner of foreign exchange today”. SimbaPay and Choice Microfinance Bank announced the partnership on 29 Aug 2015 in London at the annual “Kenya in the Park” event where they also exhibited the service. The two companies jointly sponsored the event together with other businesses targeting Kenyans abroad. The event is an annual celebration of Kenya’s rich vibrant culture. 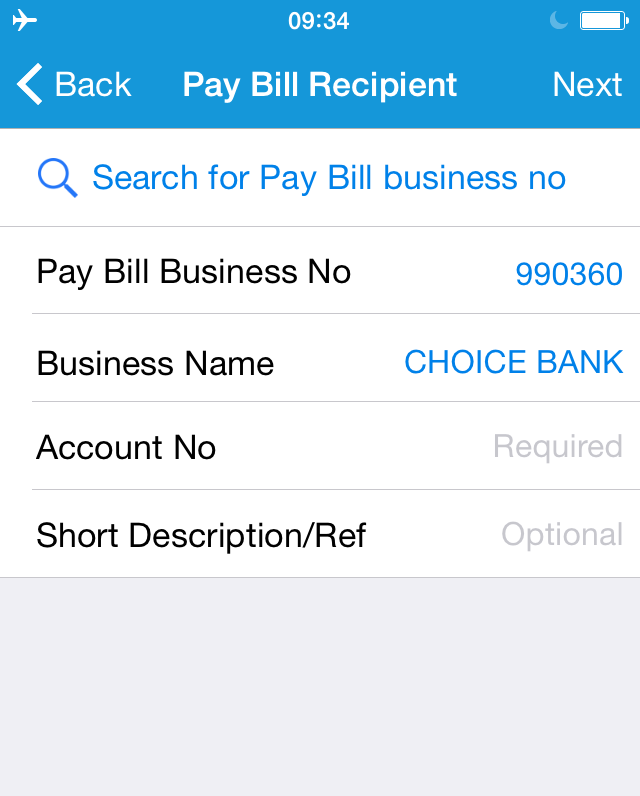 For ease of use, Choice Bank has been pre-loaded on to the SimbaPay platform which eliminates the need for customers having to remember the Choice Bank pay bill details. At the time of making a money transfer using SimbaPay, customers will be required to select the bank from a database of Pay Bill businesses and then enter the destination account number and amount. Kenyans living in the UK with a bank account, debit card or credit card are now able to use the SimbaPay app to make money transfers from any mobile phone, tablet or computer. The service will be rolled out to Kenyans living in other EU countries in the near future. SimbaPay also launched free, instant transfers to all Nigerian banks in May 2015. In June it became the first platform in the world to allow Kenyans living abroad to make M-Pesa Pay Bill payments and continues to disrupt the cross-border remittance industry with its focus on speed and convenience. Visit http://www.SimbaPay.com for more information. SimbaPay is a mobile app transforming the international remittance space. With a focus on breakneck speed, convenience and constant innovation, users are able to send money to loved ones or even vendors in Africa, from wherever they are at any time of day or night. The company is headquartered in London and can be found online at www.SimbaPay.com . Choice Microfinance Bank is incorporated in Kenya and regulated by the Central Bank of Kenya. Choice Microfinance Bank started as a diaspora story that has evolved to become a local story as well. It is a link of Kenyan Diaspora Investments to the local people’s need of small credit facilities to improve their livelihood and break the poverty cycles. The idea traces its roots to the mid 1990’s & 2000’s when Kenyans migrated in masses to the Europe & North America in search of opportunity. After years of being in the land of opportunity there was a strong desire to create opportunities for Kenyans back home.